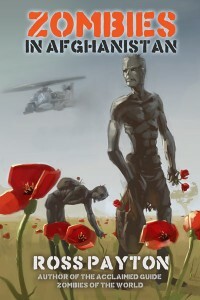 News: I’ve released a new ebook, Zombies in Afghanistan. Find out what happens when the Taliban meets the undead! As an RPPR experiment, the fine folks at Subscriptorium have created a transcript of this episode. If you like having a transcript of RPPR, please let us know! RPPR is now listed on Stitcher, the mobile podcasting app for Android and iOS. If you don’t like iTunes, give Stitcher a look. It’s free. Original RPPR video content is on the way, with a special 3d intro made by Tobyn Manthorpe of Cedar Hills Games. We’ll post an update when our first video is up. Don’t forget to check out the RPPR Minecraft Server. There’s also a new episode of Unspeakable, the Call of Cthulhu podcast that I made with Scott Glancy, Shane Ivey and Greg Stolze. Synopsis: Monsters and Other Childish Things is a game near and dear to my heart. It was my introduction to the One Roll Engine and the source game for my first two books, Curriculum of Conspiracy and Road Trip. So in this episode, Tom and I discuss playing the game. It’s a great system but it has several quirks that take some getting used to such as role playing two characters at once. After we discuss playing, I go into a Skype roundtable with Matt Campen and Nathan Knapp from the Drunk and the Ugly podcast over running Monsters and Other Childish Things. Plus a letter from Tom, shout outs and an anecdote! Chopping Mall: Robots kill people in a shopping mall. Oh, the 1980s. The Abaddon: Surreal existential webcomic with great art. Terror Within: Post-apocalyptic 1989 horror movie about mutants killing people. Vote for Road Trip at the Ennies! My book, Road Trip, is up for an Ennie. They’re the biggest awards in the tabletop rpg industry. The nominees are chosen by a panel of industry veterans but the actual awards are chosen by online voting. Vote for Monsters and Other Childish Things: Road Trip (Cubicle 7/Arc Dream Publishing) in the best adventure category. Be sure to vote it as #1! We’re back from Gencon and we’ve gathered our thoughts. It was an exhausting, exhilarating and expensive four days but well worth it. We cover everything from the trip to Indy, hotels, to the actual games we played or ran and our purchases. Tom tried out a few official games while I ran seven games, including an after hours Call of Cthulhu game. Of course the big news is that we played in a 2 part, 12 hour WW1 CoC scenario run by Adam Scott Glancy of Pagan Publishing. It was suitably epic. On top of that, we have some tips for all you con-goers including a few of my hints on running games at a con. Eclipse Phase: Transhumanist Sci-Fi Horror Rpg. Very awesome, very pretty and well worth a look. Mecha & Manga: Mutants and Masterminds Animu setting book. If you want school girl ninjas and giant robots in M&M, try this. Shotgun Diaries: John Wick’s zombie survival horror rules-lite rpg. No link because there’s no website for the game. Shard: High-concept fantasy furry rpg. Zombie Cinema: A story game about zombies, sold in a VHS box. Very cool. Hills Rise Wild: Pagan Publishing’s Cthulhu Mythos board game. Mysteries of Mesoamerica: A Call of Cthulhu 1920s sourcebook for central america and has 4 scenarios. Hobocon: A documentary about some gamers trying to survive Gencon with no cash and no plan. Grim Wars: A new setting for Wild Talents written by Greg Stolze and Ken Hite. Damnation City: A nWoD sourcebook for cities – building your own, pulling the strings and so on. America the Audiobook: Hilarious audiobook from the Daily Show. I’m America and So Can You: Another funny audiobook, this one from Stephen Colbert. Music: Untitled song from Click Clack Kaboom.